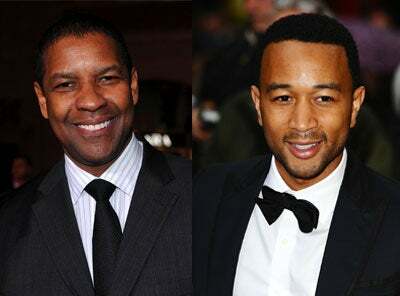 Join us in celebrating the birthday of Denzel Washington and John Legend. Handsome, talented, charitable, filled with integrity. The accolades we could heap on John Legend and Denzel Washington are endless. Both men have not only accomplished a great deal in their careers, they’ve also given back to the charities that matter most to them — for John it’s HIV/AIDS awareness initiatives like the Red Hot organization, for Denzel it is the Boys and Girls Clubs, for which he is a spokesperson. Today, we take a moment to tip our hats to two of our favorite leading men as they blow out their birthday candles (Denzel is 57; John is 34).